Étienne Daho (born January 14, 1956 in Oran, Algeria) is a French singer who has racked up an extensive number of synth-driven and rock-influenced pop hits in the French-speaking world since 1981. He'll end up in the city of Rennes during the 60s when his mother gets a job in a local hospital. As a teen, he'll hang around with Guillaume Israel from the band Modern Guy, but also some members of Marquis De Sade. During fall 1979, he records his first songs with Richard Dumas on guitar, then in June 1980, he'll perform 5 songs live at MJC La Paillette, in Rennes. His first LP will be released in 1981 with some fellow musicians of MdS. The release of his single Tombé Pour La France in 1985 will create a real "Dahomania" all around the country. In 2010, Daho was celebrating 30 years of career and is still around. He sings in a low, whispery voice somewhat akin to Leonard Cohen or Benjamin Biolay, and his music videos established his innovative and creative flair visually. He cites Françoise Hardy as one of his main influences. 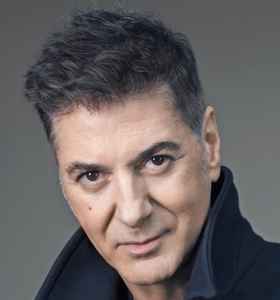 Etienne Daho has been around for almost four decades so it is a bit strange there are no comments. At his best Daho provides good, sparkly French pop and chansons d'amour. Eden is my favourite Daho album. L'Homme Qui Marche is a good anthology of his whole span of work (and the double, clear vinyl version is immaculately produced).